2013 has most certainly been one of the fastest years ever. I know everyone says 'wow can't believe how quick this year has gone' every year, but honestly this year has just exceeded all the rest. Last winter feels like last month. 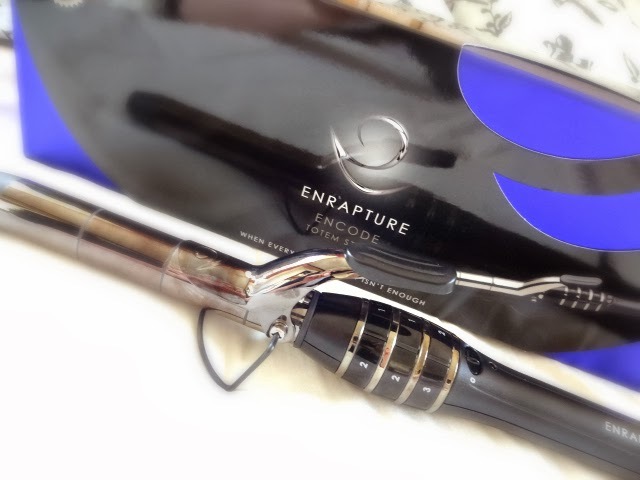 One of my top finds this year has definitely got to be the Enrapture Totem Styler. After centuries of drooling over it on blogs, I finally snapped it up when it was on the Home Bargains website for just £17.99 which is amazing considering the £59.99 RRP. I used to use my straighteners to curl my hair but could never get a full head of curls without at least one kink where the straighteners decided to stop sliding. Despite taking all precautions, I still couldn't do it and so I moved on to a wand styler. 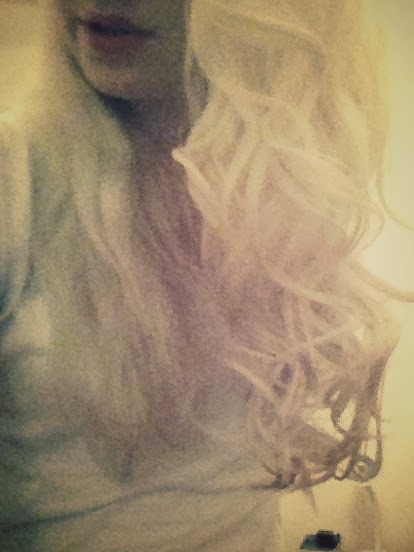 I have the Remington Pearl Pro Curl wand which is the fatter version of your typical wand as I prefer bigger curls. I do quite like this wand but I just wish it was conical to make the curls a bit more natural. I also find it quite an effort holding both arms in the air to secure the hair around the wand, being as lazy as I am. A clasp is a weak arms best friend. This brings me on to the purchase of my Totem Styler. 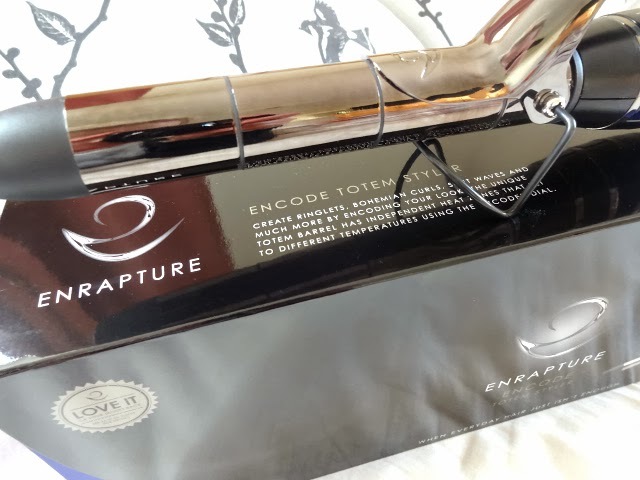 It wasn't at all planned and I wasn't on the look out for a new curler, but when I saw this offer I just couldn't resist. I would recommend this styler so, so much. Even at full price. I would happily pay full price for this knowing how good it is and how much more use I get out of this than my straighteners. 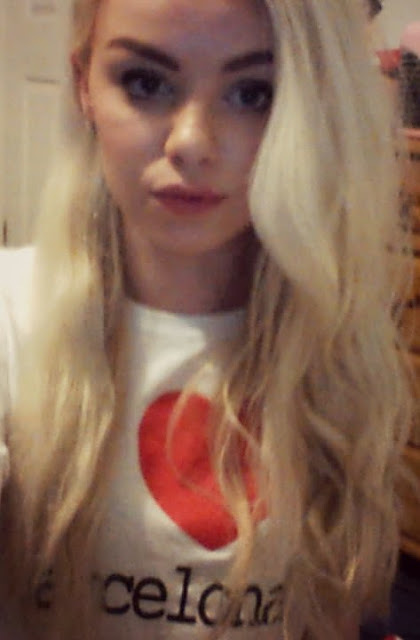 I am definitely a curly hair girl, straight hair makes me look like i've got a football for a face. If you haven't heard of the Totem Styler before, it is just like your normal clasped wand but with a magical twist. The wand is sectioned into three, each of which has it's own heat setting allowing you to create whichever style curls you wish. I wasn't sure if this was just a bit of a gimmick and if it would really make that much difference, but as you can see from the pictures above I've managed to get three different styles for three different occasions. 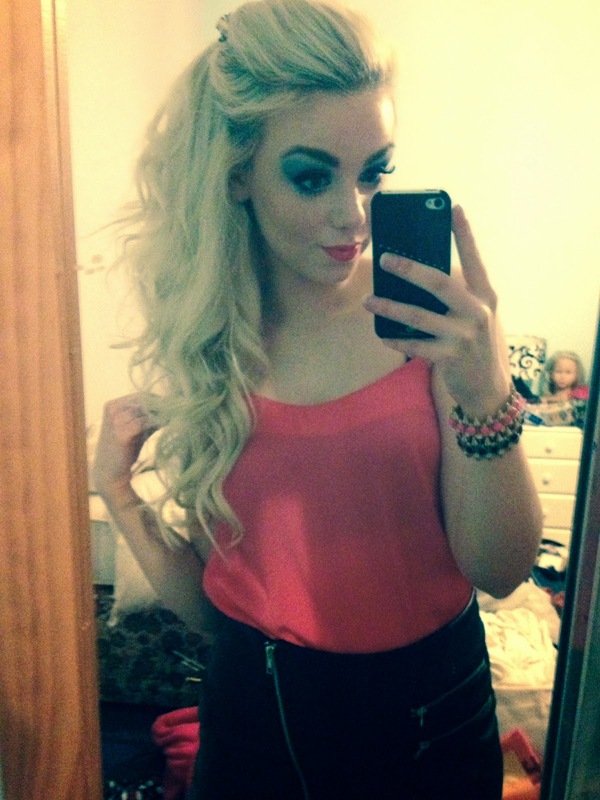 The first three pictures show what I would call my typical night out curls. 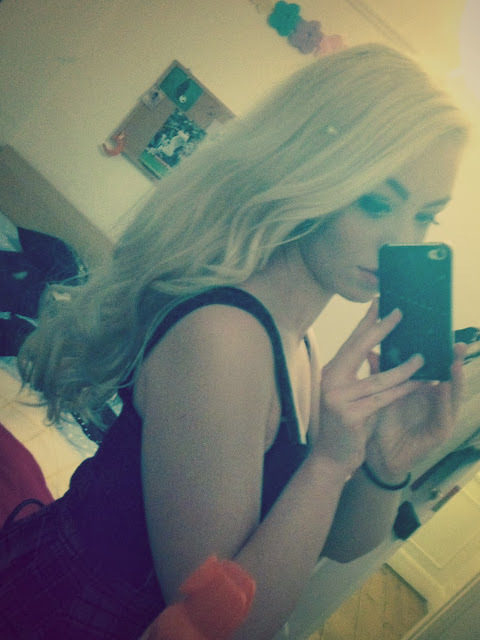 I then have a picture with half of my hair natural and half curled really loosely. 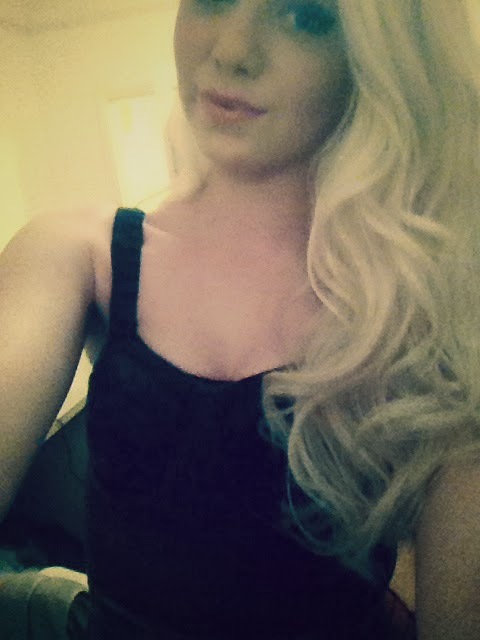 Last but not least is a load of very tight curls for a fancy dress party! So it really does work. I also find that the styler heats up super fast and I only need to hold it for about 5-10 seconds to create each curl. It's literally everything I could want in a curler. It's fast, easy, much less damaging and of course, much easier for lazy arms. It's now on Boots for £39.99 so if you're after a new curler I urge you to buy this, whatever type of curls you like! Have you tried the Totem Styler? Are you as impressed as me? Benefit | Let's make lovely!